Welcome to the Van Tuyl side of the family. This line comes down to us through Dad (Robert W. Beggs). You may recall his mother Alice’s middle name was Van Tuyl. 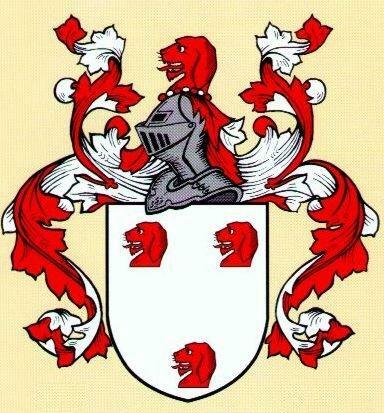 Below, Coat of Arms. They arrived between 11 May 1663 and 17 August 1663 and settled in the poorest part of town: Wall Street. It is presumed that Otto followed his father to sea and became a ship’s carpenter. After his father’s death Otto married in New York City on June 14, 1693. 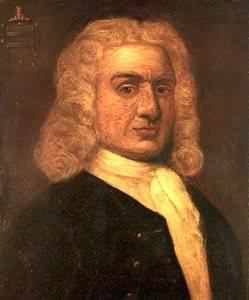 In 1696 he landed a berth, along with one of his brothers, aboard the pirate ship John and Rebecca captained by privateer John Hoar. Otto became the ship’s doctor! They headed to the Indian Ocean and raided Arabian and Persian coastal towns and took two prize ships. A few years later Otto met Captain Kidd while on the island off the coast of Madagascar. ( The book titled A Van Tuyl Chronicle says Otto sailed with Kidd’s rival, Captain Culliford, while other sources say he sailed with Kidd) In 1698 after a brutal but lucrative cruise along the Malabar Coast of India preying on gold laden Indian ships, Otto booked passage from St. Maries to New York on Captain Shelley’s Nassau , arriving home in 1699. Although Otto was then arrested, he was able to evade justice through bribery and connections. Otto moved his family from a working class home on Broad Street to a more expensive location on Smith Street. Here he pursued a legal trade in Barbados Rum and was employed by the government as a legal privateer. In 1705, now the father of four children, Otto again set sail but this time as Captain of the private ship of war, Castel Del Rey. She was an 18 gun war ship and displaced 130 tons. Leaving New York during an icy gale, she grounded on Sandy Hook in the lower bay where only 13 out of 145 crew members survived. Otto perished. Otto had a son Isaac. Four generations later a little girl named Mary van Tuyl was born to John Van Tuyl and Jane Sebring. Mary married Oren Chamberlain and their daughter Marietta would become Robert Beggs’ great grandmother. 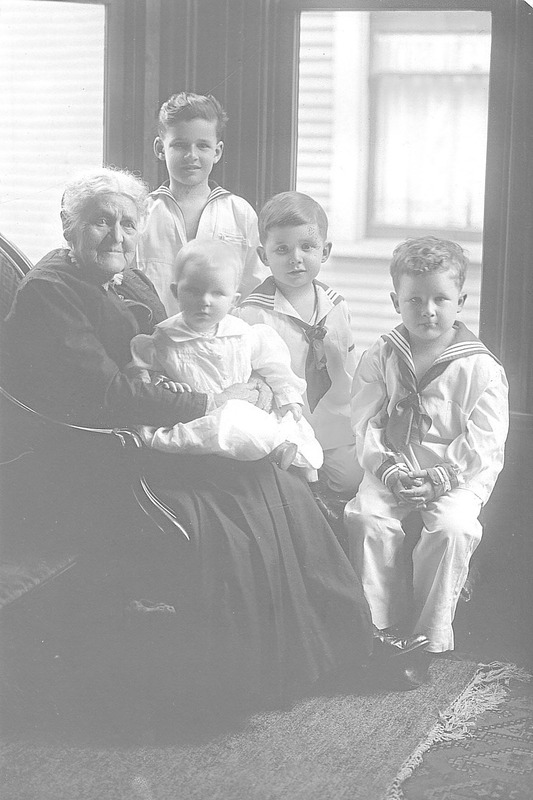 Below, Marietta holding dad, with Uncle David standing in the front. I have an old glass bottle With “Dr. schoene standard household remedies printed on the side. Is this possibly related to this story? Hi Mindy, my grandfather and great grandfather traveled by horse and buggy around Ohio, IN, etc. selling their “household remedy” My cousin has the table where they mixed the plants etc!